Ms. Reardon is President and Director of the Free Library of Philadelphia, the first woman to serve in this position. 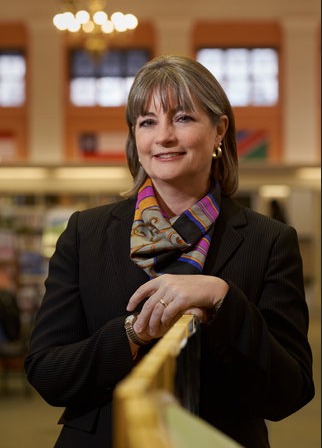 In 2015, Library Journal named her “Librarian of the Year” for her work advancing literacy and broadening accessibility of library materials for underserved parts of Philadelphia. She is an endowment Trustee of the American Library Association as well as a board member of the Greater Philadelphia Chamber of Commerce and the Greater Philadelphia Cultural Alliance. Her presentation will highlight some of the nationally-recognized service innovations, as well as current approaches the library is adopting in the Philadelphia urban environment to sustain and amplify its vitality in the digital age.